The Friday Show Presented By Indiana Racing & Breeding: An Inside Job? 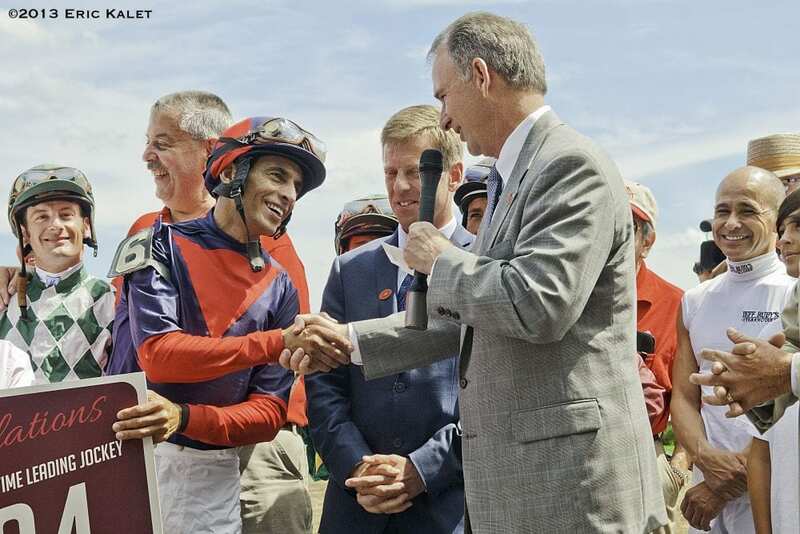 The Thoroughbred industry learned this week that Chris Kay's term as CEO of the New York Racing Association is over. After 5 1/2 years in the position, Kay resigned amid reports that he used NYRA employees to do some work on his private home. In today's edition of The Friday Show, Scott Jagow and Ray Paulick discuss Kay's tenure at the helm of NYRA and the issue of whether major racetracks and racing associations should hire executives from outside the industry or stick with those inside the business who have extensive racing knowledge and experience. Watch The Friday Show below and share your thoughts. This entry was posted in NL Article, Ray's Paddock, The Friday Show, Videos and tagged chris kay, Friday Show, New York racing, New York Racing Association, nyra, racing CEOs, racing executives, racing leadership, Ray Paulick, Scott Jagow, The Friday Show by Paulick Report Staff. Bookmark the permalink.